In Australia, we experience very hot summers. Is it more likely for my violin to experience seam bursts? My instrument is just over six years old and was made in Czech republic. Any rate, I will regularly check it. Another interest question, but have you seen many cases where a shoulder rest causes damage to the instrument? I wouldn’t presume to know anything about Australia, although I can say that I know a couple of Australians that I like very much! I started responding to your comment about hot summers/extremes in temperature and realized I was writing so much that perhaps another post is in order. So stay tuned for that. I hope to have that up within a couple of days. About the shoulder rest question: shoulder rests and chinrests are about player comfort. When you are comfortable, you will play your best, and your overall experience will be maximized. I have seen damage done by shoulder rests and chin rests. Usually, in the case of a shoulder rest, this means that the varnish is worn or chipped away where contact is made on the edges or the ribs. A shoulder rest should be adjusted so that it fits securely without exerting undue pressure on the instrument (same with a chin rest). The shoulder rest should not touch the middle of the lower back. It also should have healthy padding on its “feet” so that abrasion is minimized as you take it on and off. 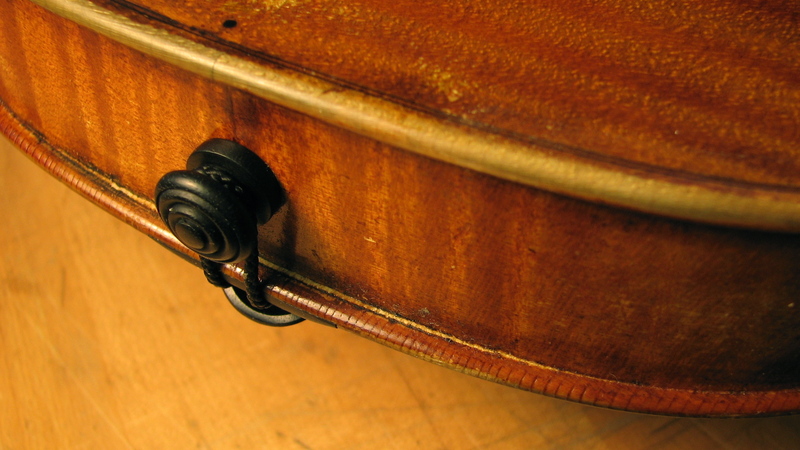 A shoulder rest that fits properly should not inspire seam openings, if that’s what you are getting at. It is possible that a shoulder rest can influence the tone slightly but chances are that your comfort will influence it even more! Can you expand on the “end grain of the lower block was improperly sized”? Did you glue top to rib only or also get glue atop the block? Week after next will be my second top-off violin attempt. I’ve done a cello jigsaw puzzle top and only ended up with a few extra pieces. Aside from room to work or clamp storage issues, have you heard anyone say it is easier to learn on larger instruments? Because end grain is so porous, it absorbs more glue. If the blocks (end blocks or corner blocks) are improperly sized, too much glue is absorbed into the block upon assembly, resulting in a weakened seam. The lower block, in particular carries a lot of load due to the string tension. Sizing simply means to coat the end grain with hot glue, allow it to dry, and re-level if necessary, before the final assembly. 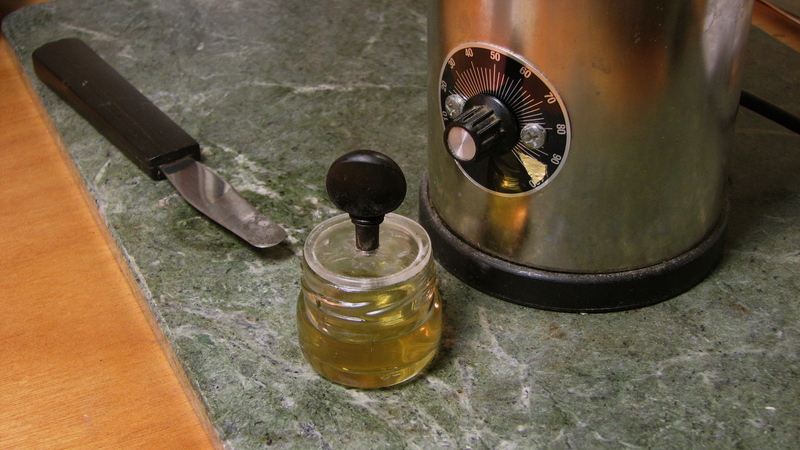 About working with hide glue – it is possible to vary the strength of the mix, and while you want good adhesion, you also don’t want to over glue. Instruments should be glued so that they can be taken apart again! My advice to learners is to find instruments with a value commensurate with their skill level, ie keep the risk low until you develop a competent skill set. Keep in mind that it is always harder (and more expensive) to redo a bad repair than to do a repair well the first time. So choose your projects wisely. Larger instruments are more to handle, and their problems can be compounded by their size. I don’t think they are in any way easier to work on. I will always recommend working on smaller instruments first. Lastly, I highly recommend taking a workshop or seminar in repair. There are several on offer. The absolute best way to further your skills is to have some mentoring or tutoring. A class setting allows you to meet like minds and see lots of instruments. Good luck, and thanks for reading Restorer’s Mind.